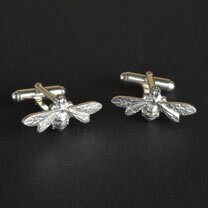 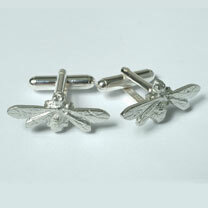 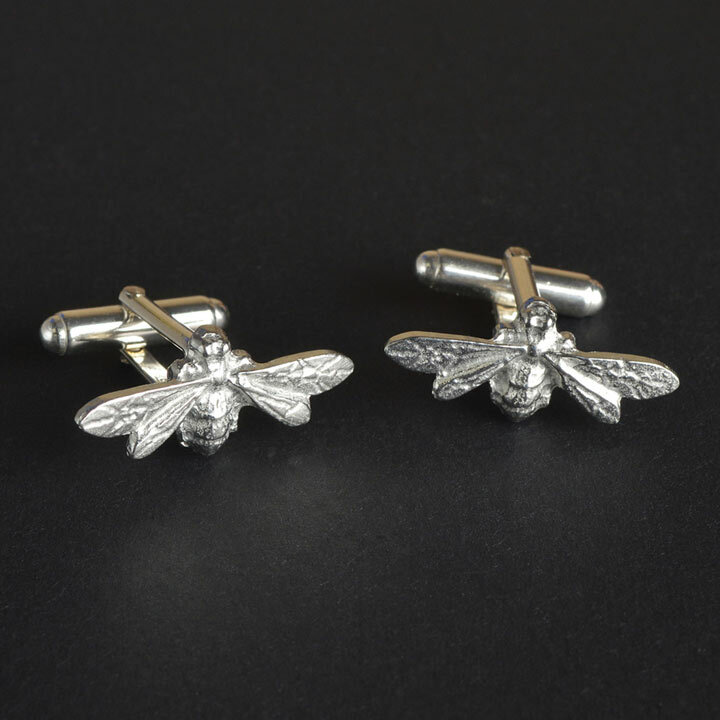 A gorgeous and subtle pair of lead-free non-tarnishing pewter honey bee cufflinks on sterling silver fittings. 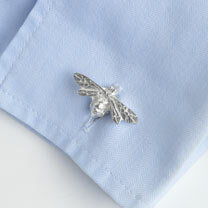 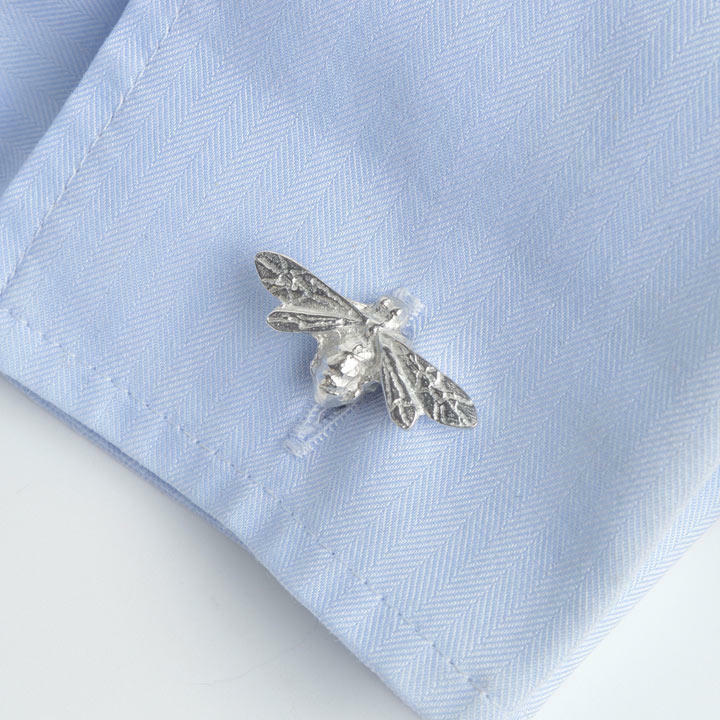 Each bee is 2.7cm wide and the cufflink mechanisms are made from sterling silver. 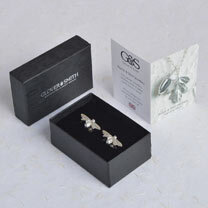 Supplied in an organza box and gift boxed. 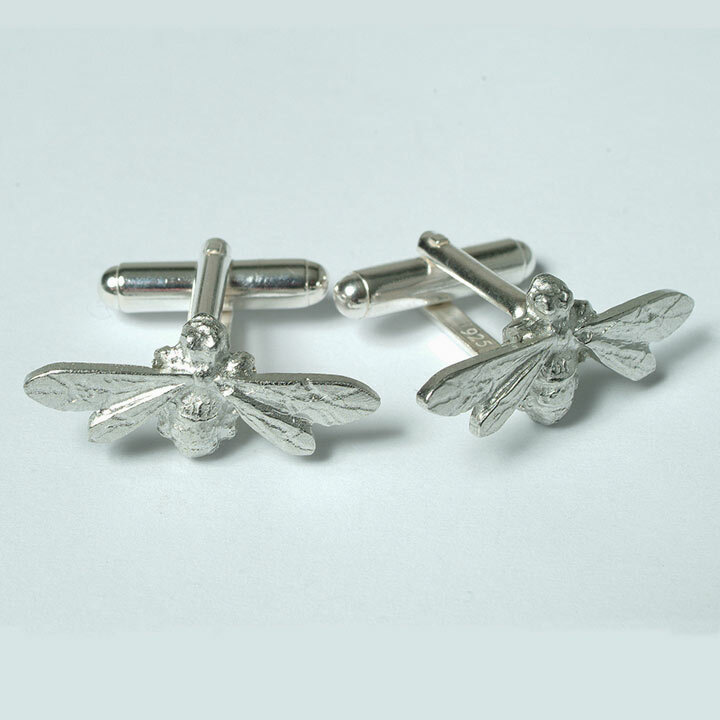 To clean simply wash with warm soapy water and from time to time use a silver cloth on the silver fittings.